We've calculated an average user price for several examples based on an annual subscription. All prices include one server license — your confidential product data always remains on your local server or private cloud, under your control. Select the perpetual or subscription solution that's right for you. Both options let you choose the best mix of flexible full-function and low-cost read-only named user accounts. See your improved profits and cost savings with our Return on Investment (ROI) calculator. A full-function user account provides excellent flexibility for your product data contributors. It permits users to create new part, document and change records; add file attachments to the system library; review, comment on, and approve change forms; and configure the system through the administrator role. You can easily select (and edit) which permissions will be applied to each user account. A read-only ("RO") user account allows a user to view — but not create, edit or approve — data records and files in the PDXpert system. When a user no longer needs access, simply delete the log-in account and re-assign it to another person. I have experience with more expensive modular systems and PDXpert can pretty much do what any of those expensive ones do. With a low upfront price, our subscription license is a budget-friendly choice for starting your PLM system, and offers maximum flexibility. A subscription accommodates variations in your project staffing levels. For example, if you're starting a year-long project that will require less staff in the future, you may choose a 12-month subscription for the entire team, and then renew at a lower staffing level. It also lets you directly assign the cost to a specific project or client, and there may be tax advantages to expensing rather than capitalizing your PLM system. A subscription license always includes a concurrent maintenance, support and upgrades (MSU) subscription. You can convert from a subscription license to perpetual license at any time, and we'll apply any unused portion of your current subscription. A perpetual license provides the best cost over the long term. It allows the purchased release to be installed on a single server for the licensed number of named user accounts, without any further payments. Keep your system up-to-date with our optional maintenance, support and upgrade subscription, as described in the next section. An annual maintenance, support and upgrade, or MSU, subscription includes all product improvements as well as technical and application assistance. Every user benefits from a well-maintained and upgraded system. Maintenance responds to the ever-changing Windows environment. Maintenance activities include, for example, installers and application code for versions of Windows; to support current SQL Server editions; to target 32-bit and 64-bit systems; to support Report Viewer, Office formats and other third-party components; and to respond to Microsoft security notices and service packs for Windows, SQL Server, .NET and Search. Support provides assistance to administrators and other system users. This include questions about system installation, configuration and operation, as well as engineering data management good practices and process design trade-offs. Upgrades add new features and improve performance and convenience. We typically publish between 3 and 5 releases each year that add new capabilities in response to product evolution and customer requests. We recommend buying MSU for at least the first year to ensure that you obtain all of the setup and configuration support you may need, as well as valuable advice applying best practices to your environment. Most people find our MSU to be quite valuable, as evidenced by the high renewal rate for MSU subscriptions. I think the licensing scheme is very fair and non-intrusive. We can create hybrid perpetual/subscription licenses. These provide a "base" of perpetual licenses for long-term use, combined with shorter-term project-oriented subscription accounts. Please contact us for assistance. Your PDXpert system always includes a PDXpert server license at no additional cost, as well as the free version of SQL Server Express that's appropriate for smaller systems. There are no premium-priced "administrator", "creator", or "approver" licenses — you can easily choose (and change) which permissions will be applied to each full-function user account. Compare PDXpert software's affordable price to the very significant costs of an inefficient manual process. With PDXpert PLM, your employees will be more productive, your suppliers will appreciate receiving accurate and approved product data, and your customers and investors will be impressed by the results of your superior product management process. 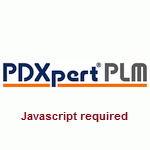 Learn how to purchase, renew, convert or upgrade PDXpert PLM software or contact us to discuss your special requirements. You may also use a read-only named user account for a multi-user, single-location kiosk computer. Read the named user account terms and conditions for both humans and machines. Subscriptions are priced per-month to simplify comparisons, and are invoiced for the total number of months selected. Calculations exclude government-imposed fees (sales taxes, import duties, etc. ), optional services, or third-party hardware/software. All prices are subject to change without notice. Refer to our standard sales terms and conditions. Full-function and read-only user accounts are counted separately to determine the discount level for each. Each system requires at least one full-function account, which is assigned to the default "super administrator" user. In a single-user system, this user performs all configuration, data entry and change approval tasks.